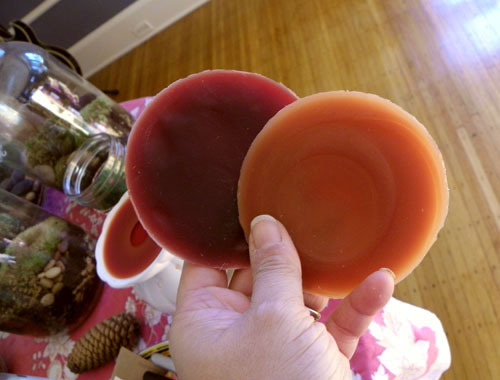 I'm really into wax tarts lately. I like candles and I like scented candles but I seem to burn through them too quickly. 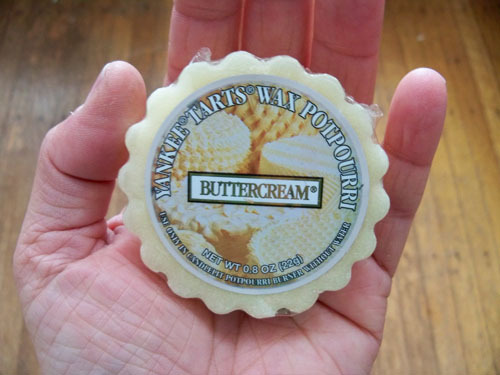 These tarts are great because they smell just like the best scented candles but you can use them again and again. I pop them out and switch between scents. I had a cinnamon one for the fall and a pine one for the holidays and now I've been using one that smell like baked goods. Yum. I just got the new sweet pea scent. It's wonderful. I have the same tart burner. How do you pop them out and switch them out? Please share your secret! 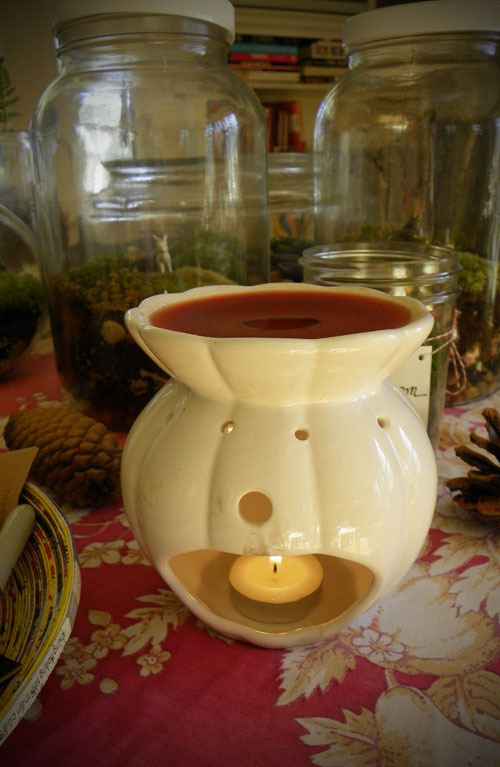 Pat - he he... 2 ways - light a candle and let it start to melt just a little or put the burner in the freezer! Beach Walk is my favourite yankee tart at the moment! I had to laugh because when I first read the headline I thought it said "Tax Warts". LOL! www.discovermemories.scentsy.us <- There's my website if you're interested!